The Human Face of Big Data – Who are you? Who are you? What’s your daily life like? Is it anything like someone else’s in countries like France, Brazil or China? EMC launches a mobile app today where YOU can play a big part and create a digital mosaic over how people are living all across the globe. Learn things about yourself, find your doppelgänger, and compare yourself and your answers around you as a person, your family, sleep, lovelife, dating and dreams with millions of other people around the world. Map your daily footprint, share what brings you luck, and get a glimpse of what other people would like to experience during their lifetime. You can be a part of this experiment called “The Human Face of Big Data” starting today and going on until the 2nd of October. After that date the work will continue with journalists, photographers and school children all around the world to see how they best can work with the immense amount of data that is available today in their daily lives. This entry was posted in Big Data, EMC, Experiment, Humanity, News, The Human Face of Big Data and tagged digital mosaic, global experiment, human face, technology. Bookmark the permalink. 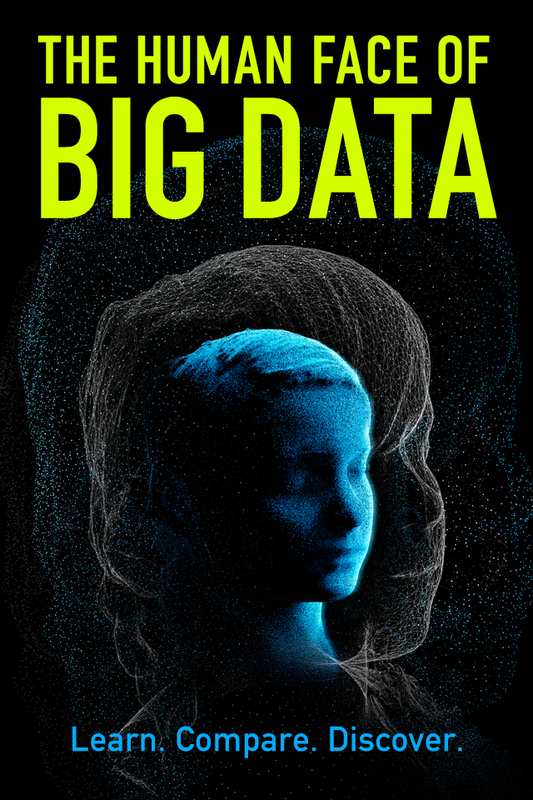 2 Responses to The Human Face of Big Data – Who are you? Who am I? I am actually me. Meaning my doppelgänger is me. I put a picture on my blog: http://vpivot.com/2012/09/29/human-face-of-big-data.